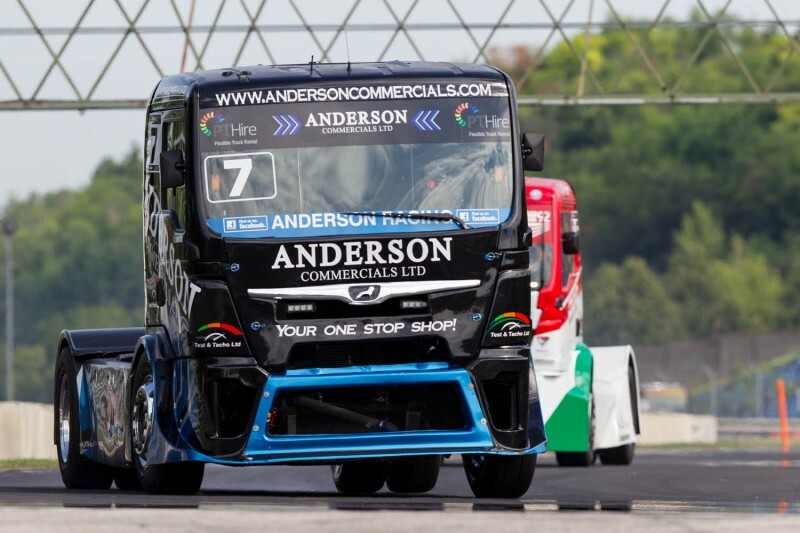 As was the case in the season-opening meeting at Misano in May, last weekend at the Hungaroring was all about action, close racing and unpredictability in the new-look GRAMMER TRUCK CUP. Three different drivers took category wins over the course of four races and six different names featured on the podium in the highly competitive class for CHROME categorised drivers. 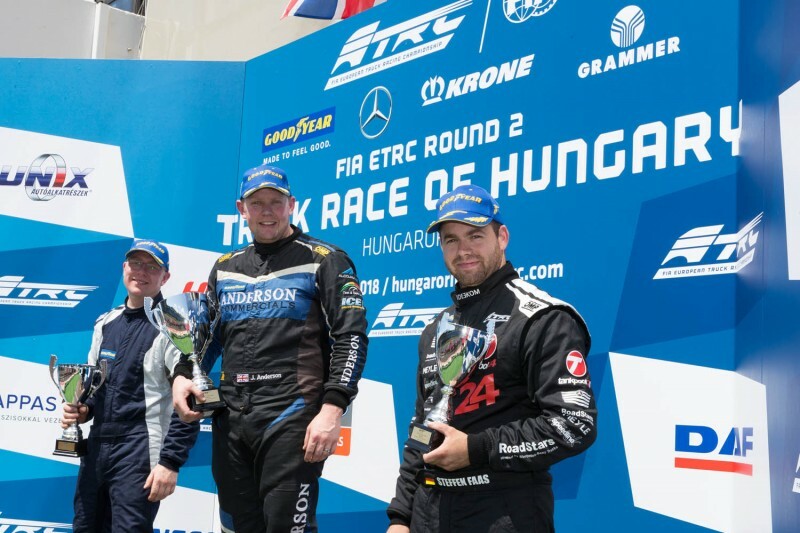 Steffen Faas triumphed in Race 2 and added two third places (secured in races one and three respectively) to his total tally of 38-points scored in Hungary. His weekend could have been even better if it was not for a drive through penalty in Race 4 that buried his chances of almost certain victory. “It was a good weekend. I’ve learned the track and our truck was very good here. Overall, I had a good time here. Race 4 was my best one but I had problems with penalty markers and a drive through,” said the Tankpool24 Racing Mercedes-Benz driver. Jamie Anderson, who completed only his fifth ever truck racing meeting last weekend, secured a victory in Race 3 and scored a total of 37 points, only one less than Faas. “Saturday was an eventful day, but we scored solid points on Sunday,” explained Anderson. “The experience is growing already. There are some good points to take and I’m not going to shy away from the fight,” he added. Despite showing good performance Anderson is modest talking about his chances in the upcoming ADAC Truck Grand Prix at the end of the month. “The Nürburgring will be a brand new track for us. We’ll need to learn the circuit, set up the truck so there will be a lot of things going against us,” he said. Shane Brereton was another driver who impressed, starting and finishing off the weekend on a high, with victories in the first and fourth races. However, a puncture in Race 2 (resulting in retirement) and a sixth place in Race 3 meant his weekend was far from smooth. “I was hoping for a little bit more this weekend but I’m really please how it finished, because we got our pace back. Hopefully the settings we’ve got now will be even better at the Nürburgring,” admitted the TOR MAN ace. Ray Coleman continued his strong points haul as he stayed in touch with the pack at the sharp end of the points standings. Driving his LRS entered MAN, Coleman scored a strong runners-up position in the first encounter on Saturday before then adding another 16-points. This was despite an issue on Sunday which undoubtedly cost him adding more points. 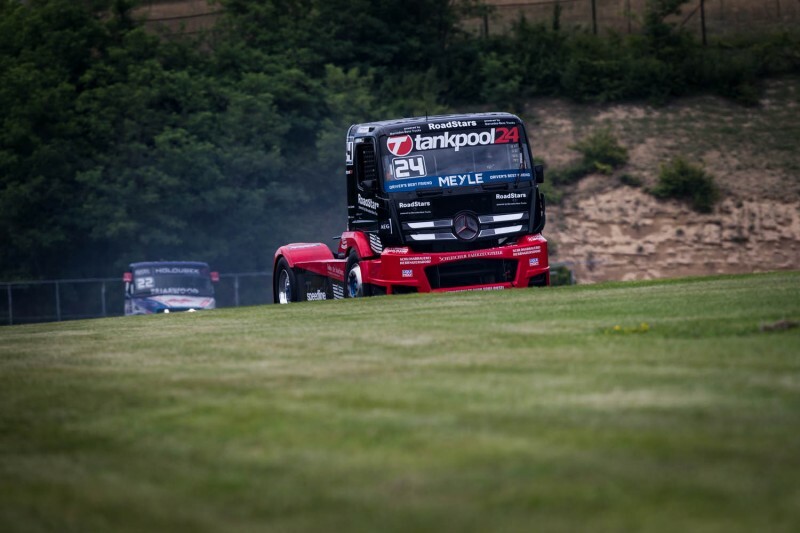 Terry Gibbon’s first FIA ETRC weekend was very much a tale of two days of differing fortunes as he put behind him a broken door mechanism in Race 1 to bounce back with a trio of podium places GRAMMER TRUCK CUP positions in the following events. The T Sport squad gave an excellent account of themselves again and will be looking to add to their podium tally and hunt a first Cup win in Nurburgring later this month. Like Gibbon, Erwin Kleinnagelvoort made his 2018 FIA ETRC debut at the weekend and the Dutchman and his EK Truck Race team came away with a healthy 24 points. Luis Recuenco continued to learn the ropes in his distinctive green Trucksport Lutz Bernau entered MAN. The Spaniard saw some of his races spoilt again by penalties but he came away with his strongest collection of points so far, including a fourth position from race one. In the overall GRAMMER TRUCK CUP standings there’s not much to choose between the front runners. Jamie Anderson and Steffen Faas sit on top of the standings, both with 68 points to their names, while Shane Brereton and Ray Coleman both have 65 points. As ever in the GRAMMER TRUCK CUP there will be plenty of action and on-track fights to witness in Germany.